Get 12% off your next order at Frangipani with this exclusive discount code. Click on the ´Get Code´ button, copy the code, and head to the Frangipani website. Shop for printed shirts or beach bags. Once you find something you´d like to buy, click on the ´Add to Cart´ button. You can view your cart if you click on the word ´Cart´ located on the top right side of the screen. There you´ll also see how many items you’ve already put in the cart. If you´re done shopping, proceed to checkout. On the right side of the screen, you´ll see an empty box where you can enter your gift card or discount code. Enter the code, click ´Apply´, and continue to shipping method, so you can finish your order. You can pay your order with a credit card or you can use your PayPal account. Frangipani was founded by a husband and wife, Clem and Benny Wilmot. They´ve created the first collection of Frangipani shirts, inspired by the extraordinary cultures of Asia and South America. These unique cotton shirts will surely add some colour and style to your everyday life. 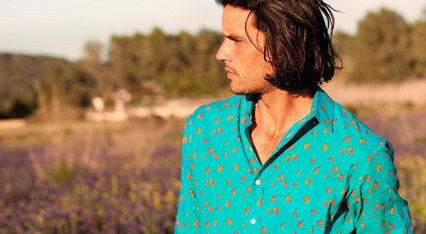 The first time you buy yourself a Frangipani shirt, you´ll understand the company´s motto - ´Shirts to Live in´. No matter what age or size you are, you´ll find the right Frangipani shirt for you. These shirts are a little bigger than most high street brands. They are slightly fitted on the sides but loose around the middle.